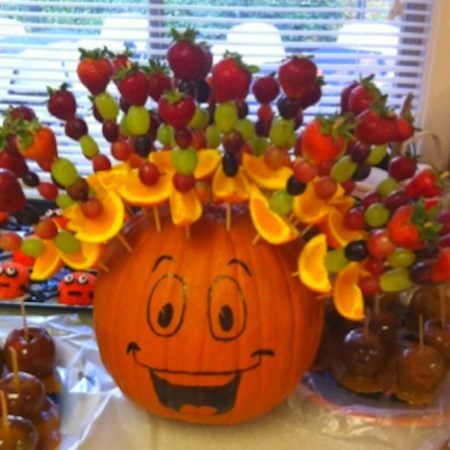 How cute for any Fall party or after school snack! 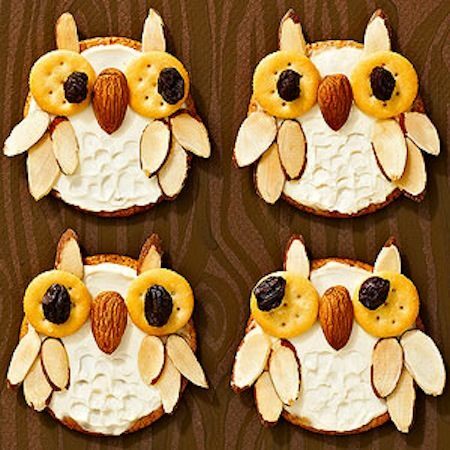 Crackers, cream cheese, raisins, and almonds; all stacked together to create these adorable owl crackers. 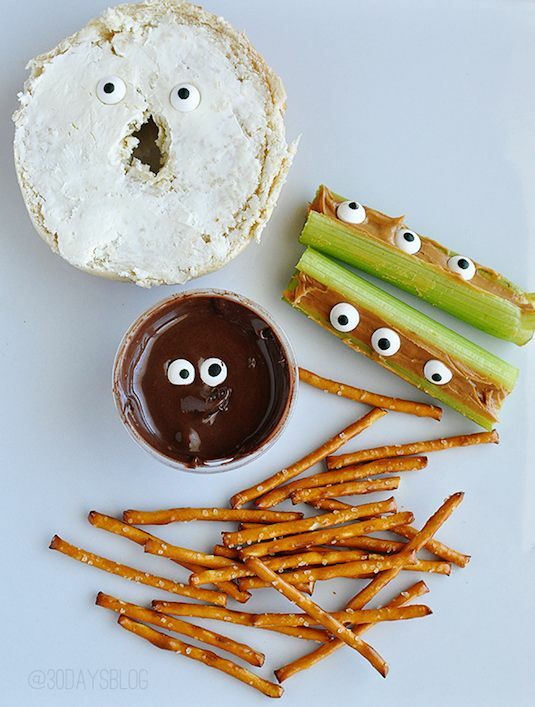 Add edible eyeballs to just about anything to create fun snacks for Halloween! 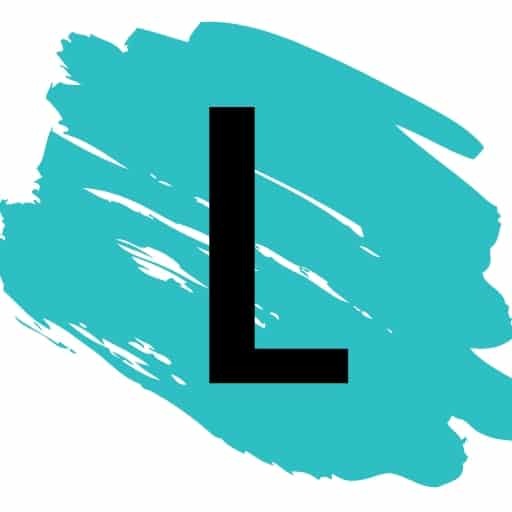 You can purchase them from craft and hobby stores and some supermarkets. You can also make your own with royal icing and black food coloring. What a unique way to display fruit kabobs for a party! This could be the party table centerpiece. Just stick your skewers right into the top of a pumpkin.